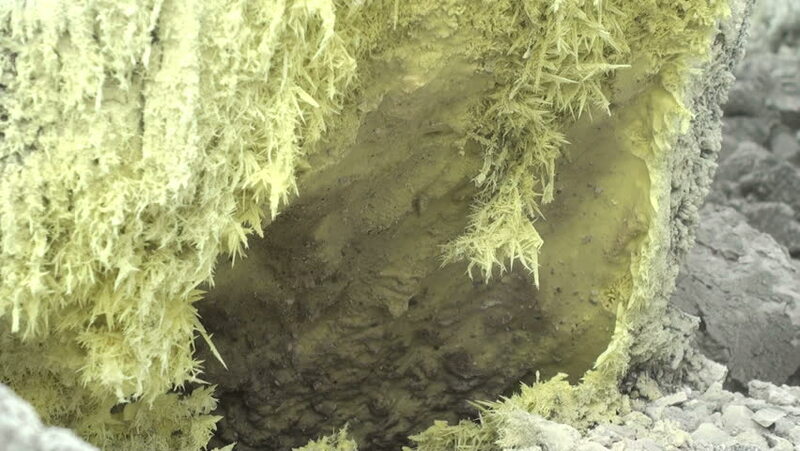 Sulfur crystals & malodorous evaporation. Java volcano. Indonesia. hd00:13Pure fresh water waterfall on large stones in forest in a sunny summer day.